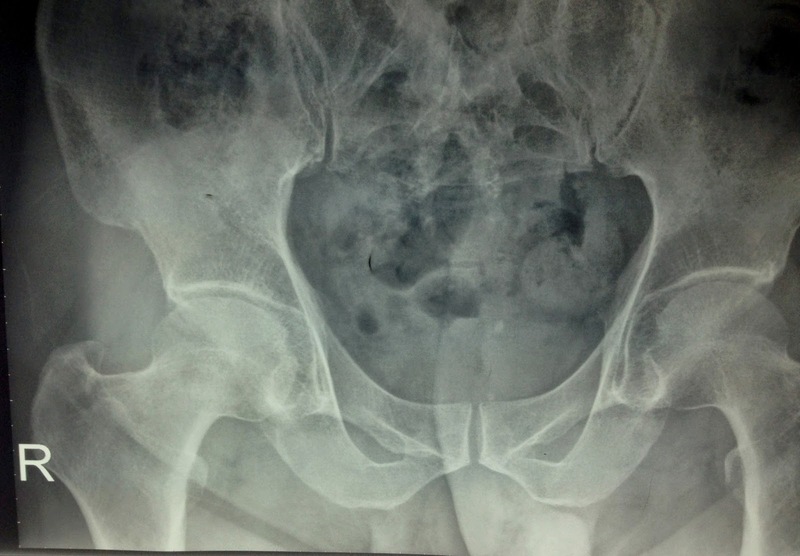 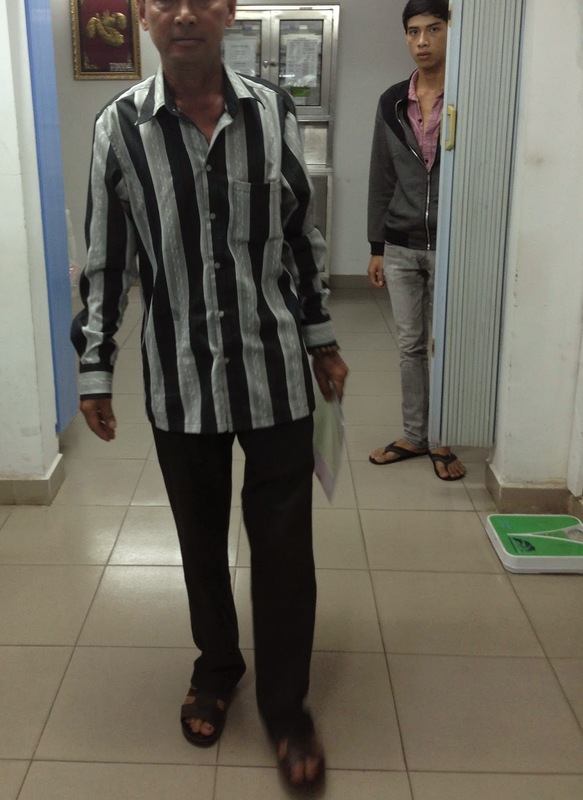 Man 52 yo with history of pain at his right hip joint 2 years prior, recently the pain is getting more severe, cannot walking (photo). 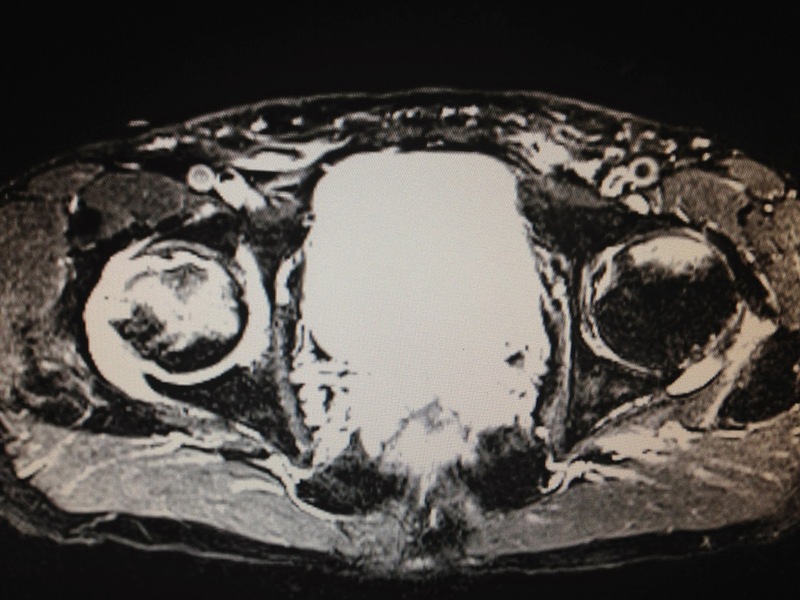 Plain XRay film of the pelvis looked like normal right and left hip joints. 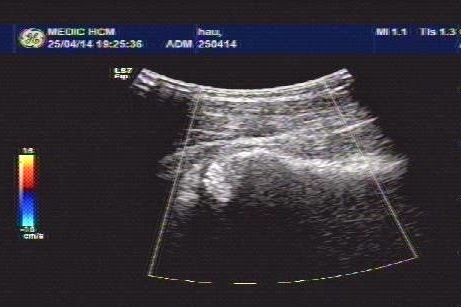 Upon ultrasound the right hip joint showed widering of the hip joint space with fluid collection, and abnormal echostructure of the head of femoral bone (see 3 ultrasound pictures at right hip). 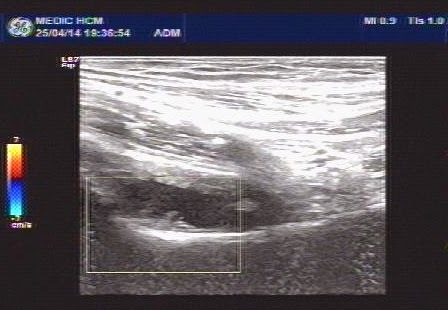 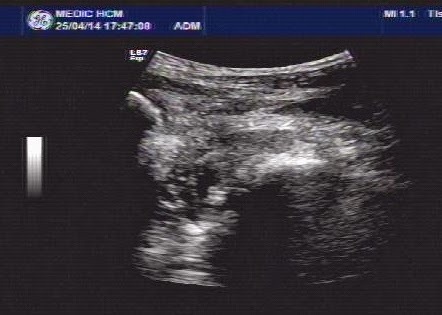 Ultrasound examination of the right hip report was abnormal in suggesting arthrosis of right hip joint). 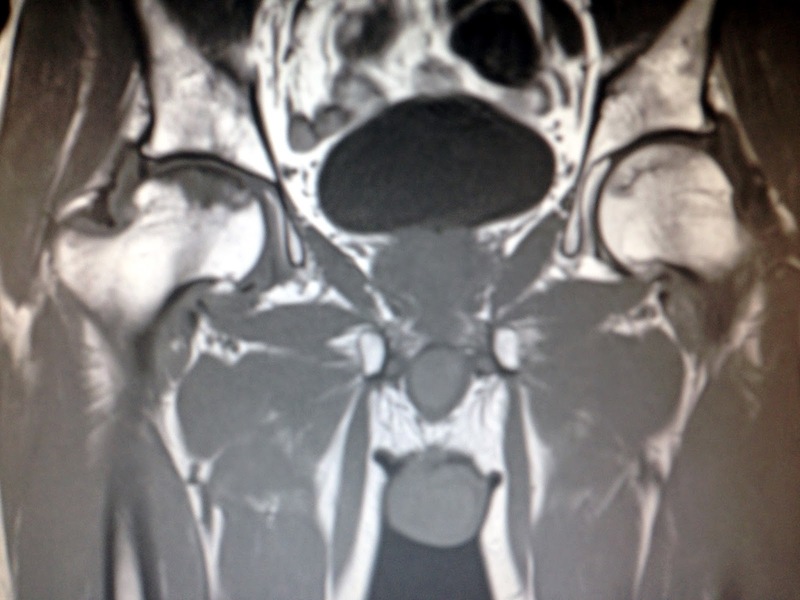 MRI of the hip joint showed that right femoral head in necrosis and hydarthrosis, and small change also at left hip joint. 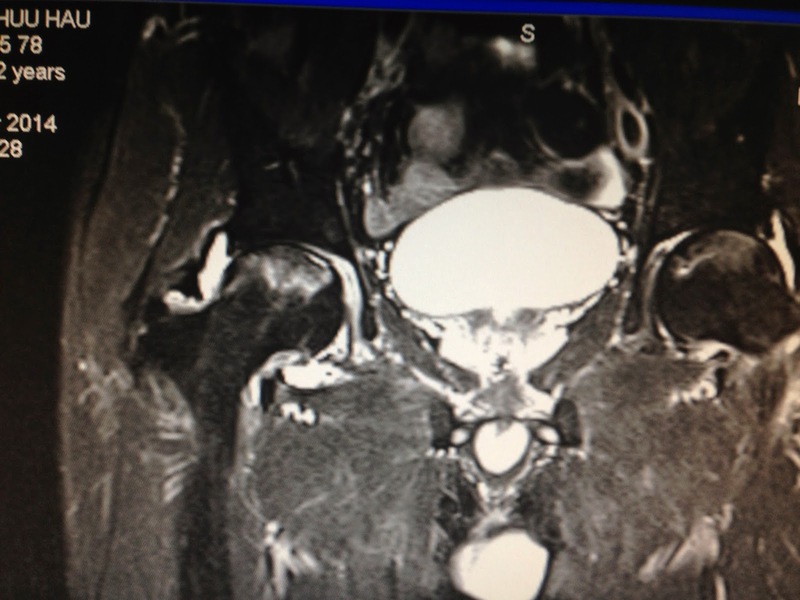 MRI report is aseptic necrosis of femoral head on right and left sides. 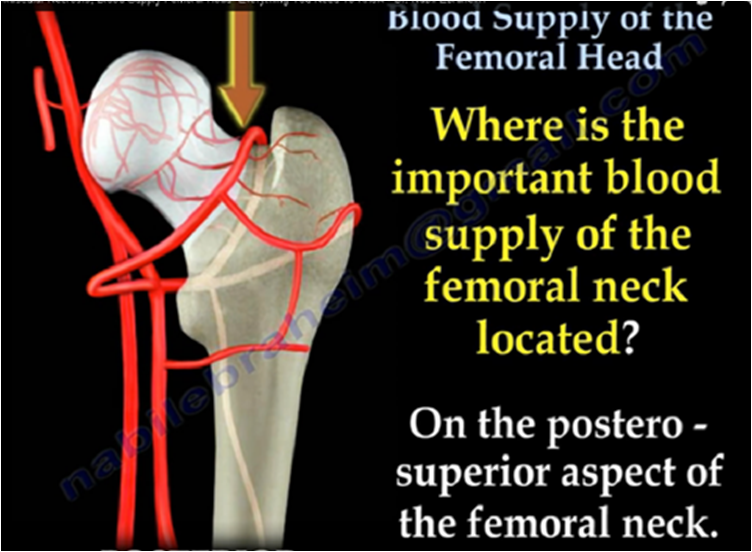 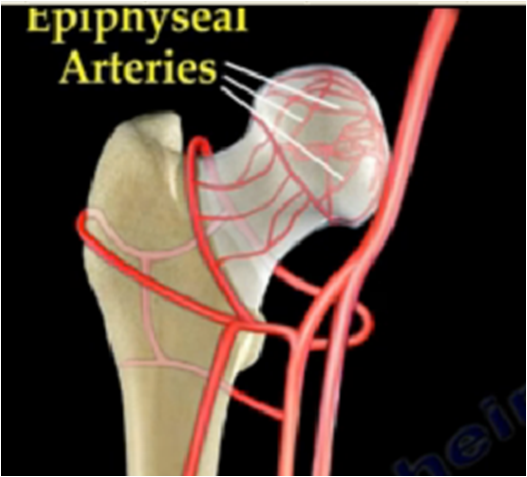 Anatomy of vascular supply of femoral head : 2 anterior and posterior pictures.